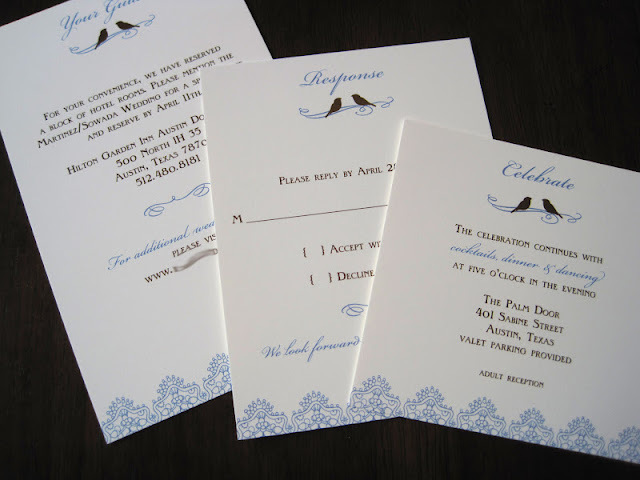 When meeting with Meghan, it was so nice that she already had a vision for her invitations. She loves letterpress printing and wanted to incorporate flowers into the design. Since I'm obsessed with letterpress printing, I couldn't wait to get started. I designed a 5" x 7" invitation, letterpress printed in gray with the floral design blind debossed into the 110lb Crane's Lettra cover stock. I love the subtle look of the flowers as it brings in a vintage style to it. 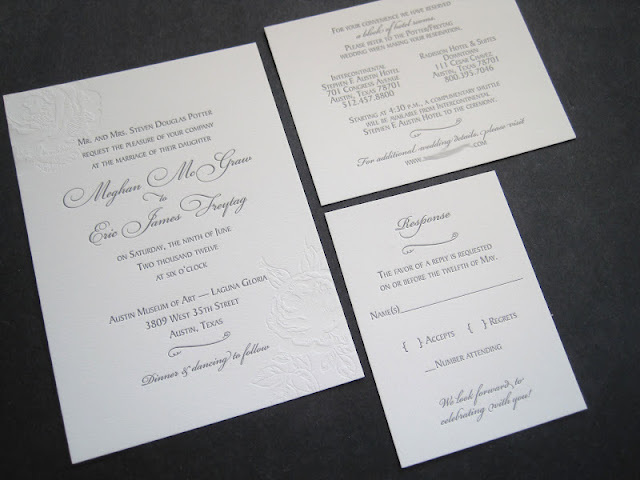 Features: Letterpress printing, blind debossing, 110lb Crane's Lettra cover stock in Pearl and computer printed calligraphy (of guest addresses) on face of envelope. Lace and birds, oh my! 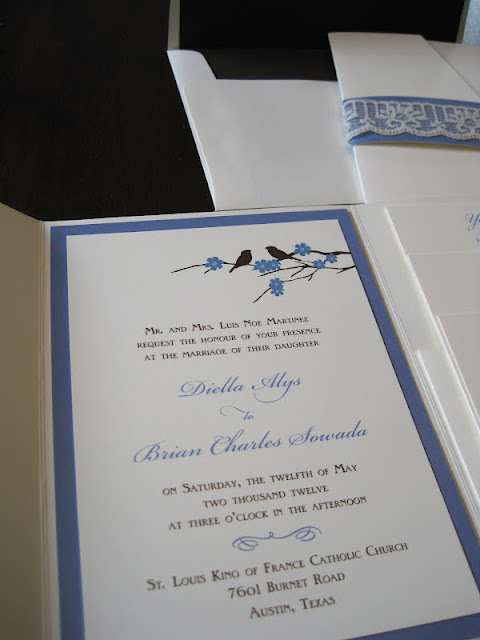 Features: Custom lined envelope, blue paper belly band with lace wrap (to match bride's lace dress), 5" x 7" pocketfold and computer printed calligraphy (of guest addresses) on face of envelope. 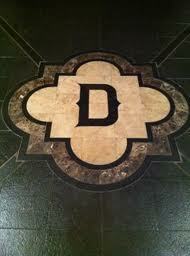 Catherine is getting married at the beautiful historic Driskill Hotel in Austin, Texas. 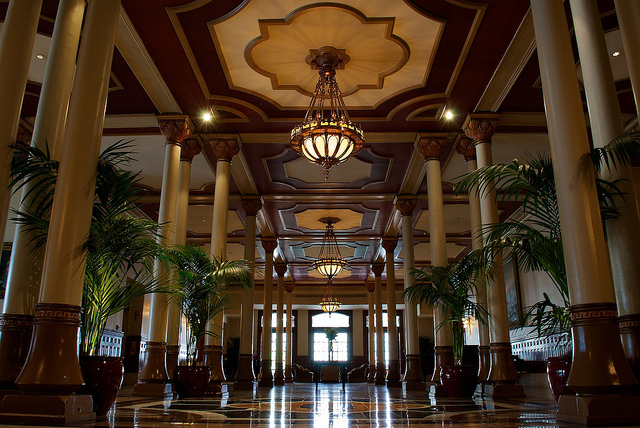 The invitations are inspired by the ceiling and floor at the hotel (see image below). I created their monogram using that same shape and created a pattern on the back of the invitation using that same inspiration. 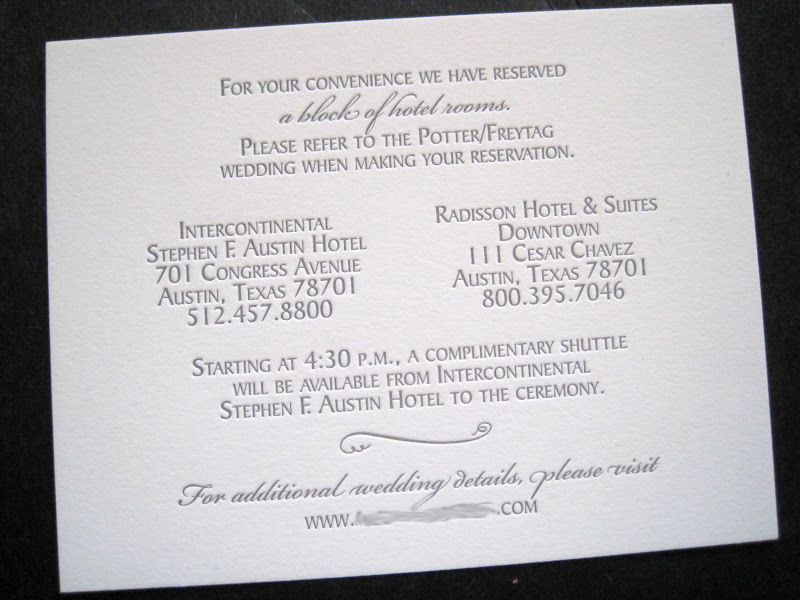 The invitation was thermography printed on 130lb natural cardstock and the back was printed in a metallic ink. To add a splash of color to the set, we included orchid colored envelopes with gold lining and matching gold metallic response envelopes. 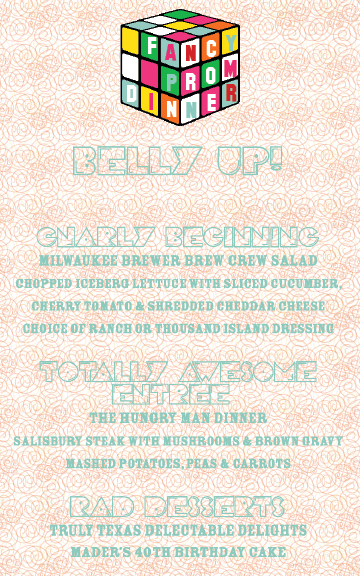 I love how we incorporated the traditional with some modern additions! When Amy Mader, owner and wedding planner for Platinum Weddings & Events, asked me to create some 80s inspired stationery for her 40th Birthday Party, I jumped at the chance. I remember tetris, rubik's cubes, hypercolor shirts and jelly shoes too well. Oh and I loved playing Pac Man back in the day!